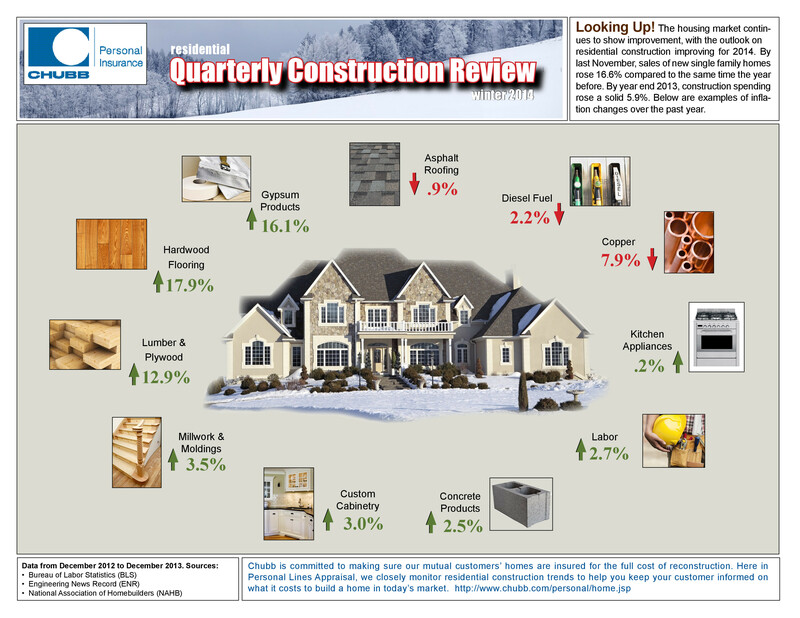 Quarterly Residential Construction Review - Scarsdale Premier Insurance Agency | Advocate Brokerage Corp. Looking Up! The housing market continues to show improvement, with the outlook on residential construction improving for 2014. By last November, sales of new single family homes rose 16.6% compared to the same time the year before. By year end 2013, construction spending rose a solid 5.9%. Below are examples of inflation changes over the past year.